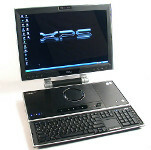 The Dell XPS M2010 was manufactured and sold in 2006. It had an unusual form factor like that of an all-in-one desktop PC, but was portable like a laptop. 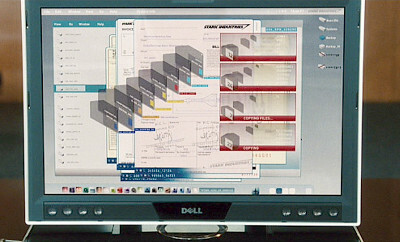 Tony sends his personal assistant Pepper to his office to retrieve vital information about the location of Stark weapons.